BUTUAN CITY, Aug. 30 (PIA) – In demonstrating a wholesome attitude for community involvement as a social responsibility and promoting voluntary service that would directly benefit the public, the Civil Aviation Authority of the Philippines (CAAP), Butuan Airport, Area XII will hold a Joint Outreach Program 2016 at the Brgy. Dumalagan, here on September 2, 2016 which will start at 9:00 a.m. The activity is on its second year of implementation through the headship of CAAP-Butuan area manager Evangeline Daba, following its initial conduct in Brgy. Abilan last year wherein many got the advantage of acquiring free humanitarian services. Anchored on the theme, “Panaghiusang hugpong alang sa mahimsog nga katilingban,” Daba underscored that it basically indicates a mission of breaking barriers and disparity among different human sectors by extending help in such a manner that would frame a healthy community and foster goodwill throughout the locality. “We expect to have around 600 individuals who will be recipients of the services that we will be providing. Our target beneficiaries are mostly students but definitely of no age limit. Anyone can avail of the medical and dental services, haircut and feeding program,” said Daba. She also added that they have prepared school supplies, medicines and hygiene kits to be distributed to the recipients. “With pure intent to fill in the gap in the services provided by mainstream, this undertaking is our sincere way of doing what we can contribute in our own constructive ways for the benefit of our fellowmen,” expressed Daba. BUTUAN CITY, Aug. 30 (PIA) – A total of 44 adult and children with cleft lip/palate benefited in the recently conducted three-day free surgical mission by the Project B.O.S.S or Brotherhood Operation Sweet Smile, a non-government organization supported by the Philippine Army from August 26-28, 2016 held at Adela Sierra Ty Memorial Hospital in Tandag City, Surigao del Sur. According to Bel Yenko, Project B.O.S.S. director/founder, they have expected more than 50 patients to avail their free surgical mission in Tandag City based on the list of registrants, however, only 44 were able to benefit due to unexpected eventualities among other patients. “We really hope to see more people benefitting the free services that our organization has been offering. Our coordination with other local government units and provincial offices is ongoing and soon, we will also visit the province of Agusan del Sur to serve our people there,” underlined Yenko. Yenko is also optimistic that with the full support of the Philippine Army, their surgical missions can still reach so many places in the country. BUTUAN CITY, Aug. 30 (PIA) – The Department of Public Works and Highways (DPWH) in Caraga region is observing a round the clock execution of its projects to fast track the completion of its 560 current and carry-over projects being implemented regionwide. This swift change is instigated upon the advent of the Duterte administration endeavoring to “implement a human approach to development and governance” in which Department of Public Works and Highways (DPWH) Caraga responded by committing to finish 29 projects within the first 100 days. “It is a directive from the top management to prioritize service to the public which should be centered on the welfare of the stakeholders, all-time safety and convenience of travelers, and timely construction of public infrastructure that will boost socio-economic development,” said DPWH-13 regional director Danilo Versola. Although some contractors have slippage in their project implementation, DPWH-13 management still urge its partners to do 24/7 work to surpass deadlines and bring convenience and economic opportunities to the people sooner. For CY 2016 regular infra, DPWH-13 has 419 projects with a total allocation of P16,122,482,000. Under carry-over projects, a total allocation of P3,479,250,000 for 141 projects. BUTUAN CITY, Aug. 30 (PIA) – “There is a need to increase safety measures for the motorists and travelers, and I want it done as soon as possible,” instructed Department of Public Works and Highways (DPWH) Caraga regional director Danilo Versola as he demanded also for improvement of safety devices along Daang Maharlika (Surigao-Agusan Road) which is under P3.2 billion long-term performance-based maintenance (LTPBM) contract. Versola expressed his observation during his ocular inspections. He particularly pointed out Los Angeles-Cabadbaran road section with intermittent reblocking activities, which he then instructed to prioritize the said area by laying of asphalt pavement. Meanwhile, Versola uttered pleasure to the physical accomplishment of the said LTPBM road project, which is 40.32 percent as of July 31, 2016, ahead of schedule since it started on October 2015. LTPBM project aims to enhance road maintenance and management of national road system by introducing performance-based concept to ensure that all physical conditions of the road under contract is adequate for the need of road users along the 126.500 kilometers that form part of Surigao-Davao road, Surigao (Lipata)-Agusan del Norte boundary in Caraga region. BUTUAN CITY, Aug. 30 (PIA) - The second Mindanao Policy Research Forum will be the first of many activities slated for September’s Development Policy Research Month (DPRM) celebration. Partners Philippine Institute for Development Studies (PIDS), Mindanao Development Authority (MinDA), and Father Saturnino Urios University (FSUU) are co-hosting a policy forum which is focused on the theme “Nurturing Resilient Communities in Mindanao towards Sustainable Development.” A lunchtime press conference will formally open and discuss this year’s DPRM theme of “Investing in Risk Reduction for a Resilient Philippines.” These back-to-back events will be held on September 1 at FSUU in the city. Undersecretary Janet Lopez, executive director of MinDA, will present on “Fostering Partnerships with Academic and Research Groups for Mindanao’s Sustainable Development.” Echoing the DPRM commitment to promoting the role of sound research evidence in policymaking, Lopez’s presentation will focus on harnessing the talent and input of Mindanao’s research community in shaping the development and sustainable growth of Mindanao. Other presenters include PIDS Senior Research Fellows Dr. Celia Reyes and Dr. Danilo Israel. Reyes’s presentation will discuss the massive study evaluating the design, implementation, and impact of the crop insurance programs being delivered by the Philippine Crop Insurance Corporation. The study investigated the experience of farmers in various regions with the program, and, in turn, offers recommendations to address the challenge of improving access and awareness among target-beneficiaries. Israel will discuss the results of the impact evaluation of the National Greening Program and will reveal whether or not it has effectively achieved its objectives. He will also discuss the challenges and shortcomings that must be addressed to improve the program. FSUU and Caraga State University will be delivering presentations in the afternoon. In line with the DPRM theme, FSUU will discuss its disaster reduction and risk management initiatives. Resource persons from Caraga State University will present their study on the Comprehensive Land Administration and Information Management System. The presentations will be followed by a broad line-up of discussants, which includes people from different sectors—private, government, and civil society. The panel consists of Dr. Mohammad Yacob from the Bangsamoro Development Authority and representatives from the Department of Environment and Natural Resources, Department of the Interior and Local Government, and the Senate. The PIDS’ Socioeconomic Research Portal for the Philippines (SERP-P) team will also be in attendance to discuss the open access agenda. SERP-P is an online repository of socioeconomic research materials amassed from the contributions of PIDS and 52 other research and academic institutions. SERP-P Coordinator Mark Vincent Aranas will speak about the portal’s role in promoting free access to critical knowledge and relevant research studies and information, and how to use the knowledge resources in SERP-P. The lunch-time press conference on the 2016 DPRM will be headed by Usec Lopoz of MinDA; Dr. Danilo Israel and Dr. Sheila Siar, PIDS director for research information; Dr. Maricar Casquejo, regional director of CHED Caraga, and Rev. Fr. John Christian Young, FSUU president. Key regional officials from the Office of Civil Defense, Department of Science and Technology, and Department of Health will complete the line-up of panelists. SURIGAO CITY, Surigao del Norte, Aug. 30 (PIA) – Surigao del Norte 2nd district representative Robert Ace S. Barbers reiterated his call to defer the barangay and SK elections--appealing to the members of Congress to act on this urgent matter. “We are running out of time. Congress must decide within the next two weeks whether or not to push with the Barangay and SK elections. 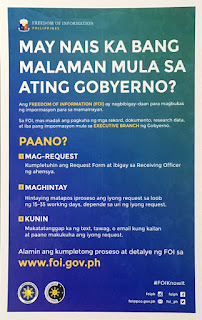 Comelec has already started printing ballots. It would be a complete waste of government funds if they continue with the printing, and then Congress later decides to defer the elections,” Barbers said. Barbers filed House Resolution 51 last June 30, calling for the postponement of the 2016 Barangay and SK elections until Congress has determined an appropriate date for its conduct. 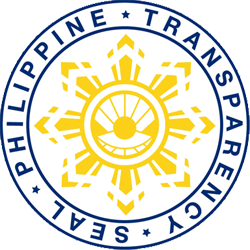 “The billions of pesos that can be saved by the deferment can be used for other worthwhile government projects like construction of public roads, school buildings, scholarship programs and other endeavors. Besides, this is also in support of the administration’s plan to shift to a federal form of government. If approved, a plebiscite could already be made in two or three years for the shift, so conducting an election now is unnecessary,” he emphasized. Barbers, likewise, is a proponent of a measure which calls for a Constituent Assembly to amend the 1987 Constitution. SURIGAO CITY, Surigao del Norte, Aug. 30 (PIA) - In its continuing effort to capacitate and strengthen its assisted agrarian reform beneficiaries’ organizations (ARBOs), the provincial office of the Department of Agrarian Reform in Surigao del Norte (DARPO-SDN) conducted an Audit Management Seminar on August 23, 2016 at Cinches Hall, City Cathedral, this city. A total of 24 Credit Committee (CRECOM) members of the said ARBOs attended the said seminar composed of the Cawilan Agrarian Reform Beneficiaries Association (of Brgy. Cawilan, Tubod), Silop Farmers Association (of Brgy. Silop, Surigao City), Mat-i Farmers Association (of Brgy. Mat-i, Surigao City), Ima Women’s Initiated Community Association (of Brgy. Ima, Sison), Gacepan Women’s Association (of Brgy. Gacepan, Sison), Pagao Farmers Association of Brgy. Campo, Bacuag), Camboayon Marginal Farmers Association (of Brgy. Camboayon, Gigaquit), and San Pedro Rural Workers Association (of Brgy. San Pedro, Alegria), all of Surigao del Norte. Danila Lomotos, CRECOM member of Pagao Farmers Association said that she was glad that she was able to attend the Audit Management Seminar especially because she is new to the position. “Because of this seminar, I now know what my roles and responsibilities are being a CRECOM member of our association. We now have the knowledge how to safeguard our association’s resources and to be mindful of all the transactions that will take place in our association,” she added. The Audit Management Seminar is a mandatory seminar and was conducted to the said ARBOs in preparation for the reportorial requirements of the Cooperative Development Authority (CDA) when the said organizations apply for their licenses with the CDA as cooperatives.